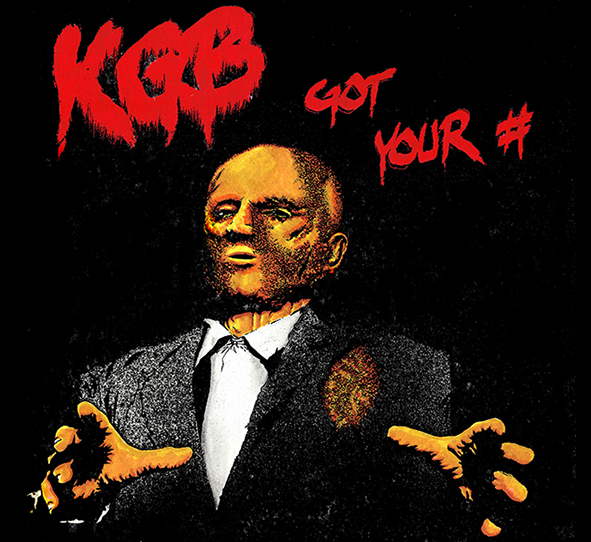 K.G.B. stands for "KEIN GRUND ZUR BERUHIGUNG", in English roughly: "No Reason NOT to rebel". The Band was founded in early 1980. From 1982 dates the rare, shrill colored collectors-item-EP "Donald Duck in Pentagon" with four tracks. 1985 first tour abroad led them to Italy with Hamburg's Torpedo Moskau. 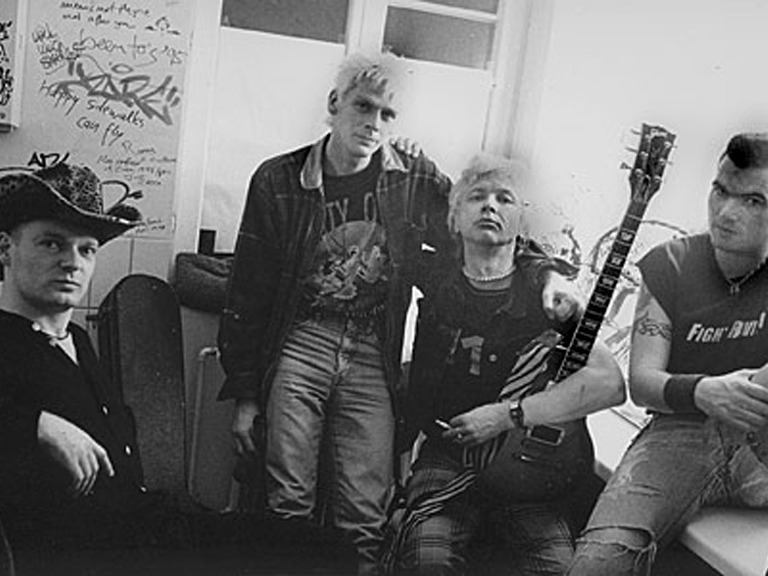 A couple of other 7"-es followed before in early 1986 their no-more-available-debut-album "Letzte Bestellung" (Last Call) was issued on Hardway Records, CA, supporting their first US-tour from coast to coast, playing with bands such as Circle Jerks, Zero Boys, Rhythm Pigs, Goo Goo Dolls and Bad Brains. 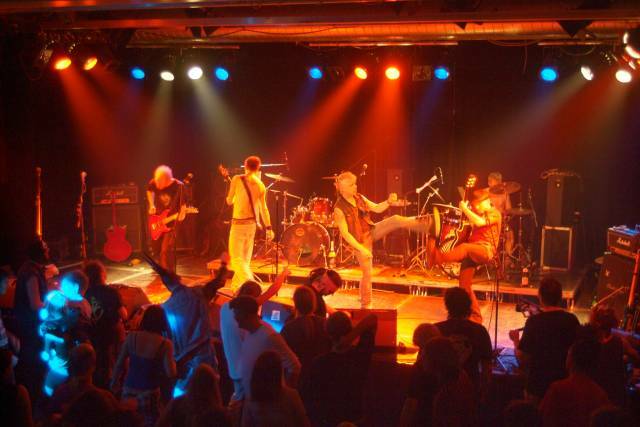 In Germany shows followed with D.O.A., Abwärts, Toxoplasma, The Toten Hosen and even The Sweet. 1987 brought the so-called "Red Album" before this early line-up reached its peak with 1990's CD/LP "Einmal rund um die Sonne" (One Time around the Sun is a German saying for life-penalty). 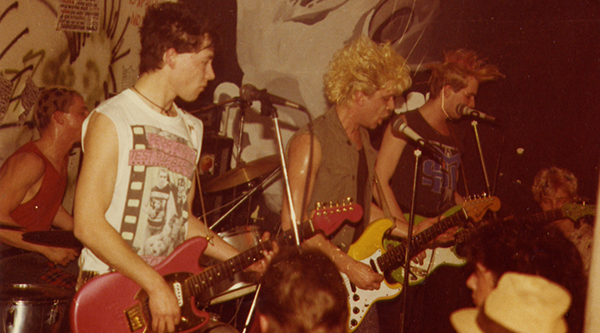 Two video-productions and a couple of TV-appearances, more shows in Spain, Italy, Scandinavia, England and Holland, a showcase as the first German band on the WDR-Rock-Night with Stiff Little Fingers, tours with The Toy Dolls, Depraved, Rubbermaids, Dimple Minds and another US-tour followed. Shows with Greg Sage, T.S.O.L., Bad Religion, Bollock Brothers, EA 80 and Rausch before the band split in early 1991. After a 12"-single in 1992, going along with the 1995-album "Restmuell" and a video-clip Hannes lined up another European-tour together with Toxic Reasons through seven countries. 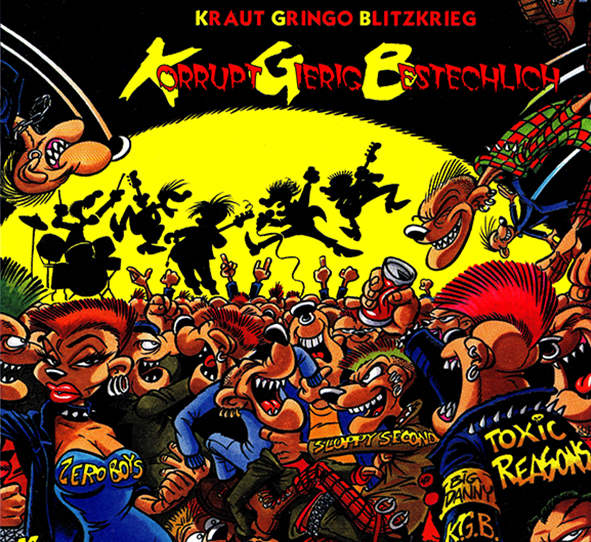 1997-album "KRAUT GRINGO BLITZKRIEG" includes 14 tracks recorded with our friends in Indianapolis, J.J. (drums), Tufty (bass) and Bruce (guitar) from "T.R. ", Mark Cutzinger (drums) and Vezz (guitar) from the Zero Boys and Big Danny Thompson (guitar), ex-Sloppy Seconds. 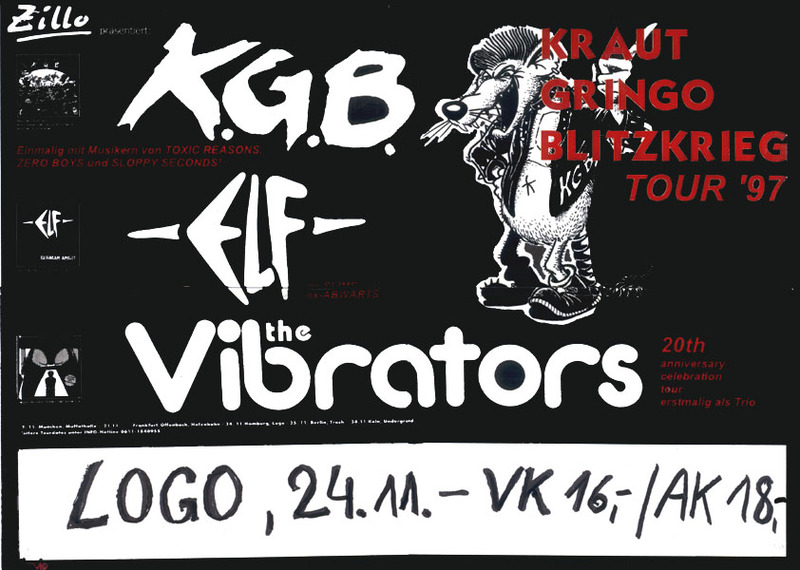 Before this line-up went on tour in Germany with the Vibrators a spontaneous quicky MCD/7" called "DIE LADY DI" was released together with studio-mate Roman Schoensee (The Dreamside, ex-"Pyogenesis") who is kind of a K.G.B.-member in the background. The same year ten of Hannes' song-lyrics are published by Karin Fischer in a poetry anthology. 1999 the side project "Die Drei Röhren" (DDR) comes out with a cover-album: 14 early German New Wave songs interpreted by K.G.B.. Totally Eighties, anyone remembers "99 Red Balloons" or "Ja Ja Ja"? The title is an allusion to The 3 Tenors, and the other two vocalists are Pedder from Daily Terror (Braunschweig) and Tek from The Herbärds (Stuttgart) doing the Lemmy-thing. The new Millenium saw a totally renewed K.G.B. rising from the perils of rock ´n roll decadence. 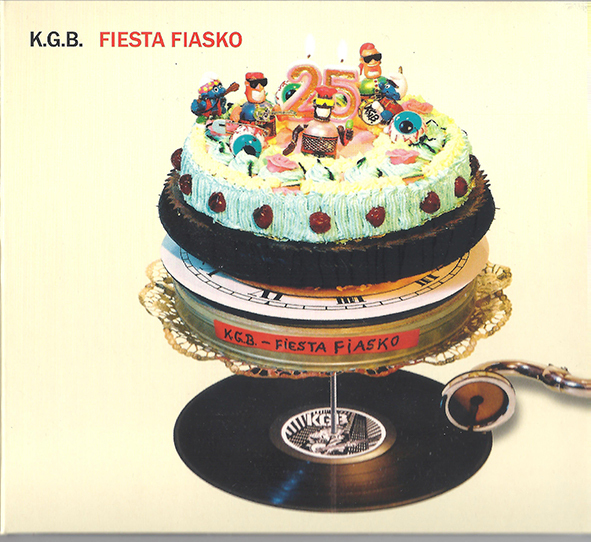 2005 CD+DVD / LP "Fiesta Fiasko". 25 years of Punk'n'Roll. K.G.B. 's headquarter and practice-room still is in a former police-station in South-Germany's Tuebingen, squatted once in 1977 A.D.. More than 20 people still live there on 4 floors and over the 20 years numerous bands had a place to stay there on their way through. Kind of independent against the tides. They never disavowed punk but never let themselves reduce to it. 2018 © Spin Moon Media All Rights Reserved.